If you need me after 7:30 p.m. any night next week, I’ll be on my back porch, with avocado smears on my face, salsa drips on my pants, and a double-fisted grip on these Green Chile Grilled Chicken Burgers. 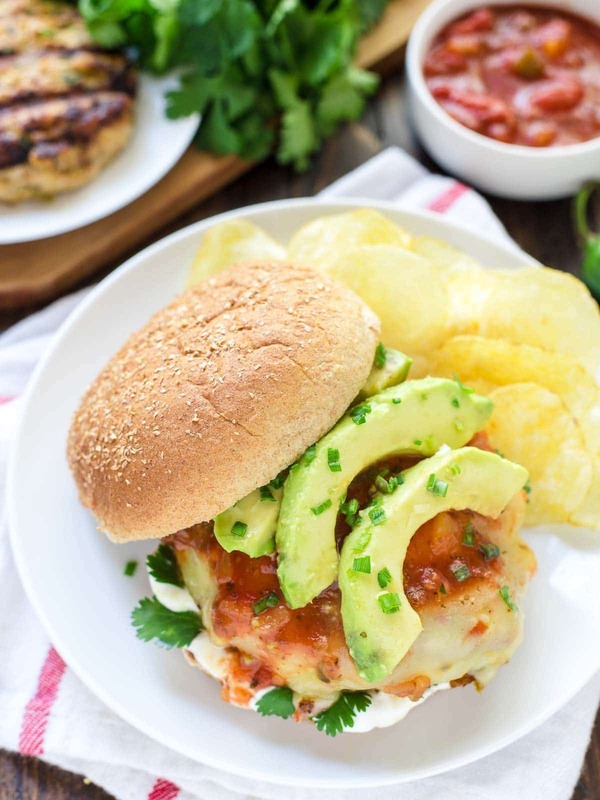 Ultra juicy and best served smothered with all manners of Tex-Mex fixin’s, these grilled chicken burgers have become a weeknight (and weekend) default meal at our house. They take less than 10 minutes to prep, boast serious southwest flavor, and are even healthy too! Plus, since we usually throw the chicken burgers on the grill (you can also cook them stovetop if you prefer), I’m left with little to clean up, beyond our dinner plates…and my skinny margarita glass. High praise from a sworn beef lover. To make a satisfying, juicy chicken burger that’s worthy of its bun, you need two things: 1) moisture and 2) serious flavor. Plain ground chicken is pretty, well, plain. 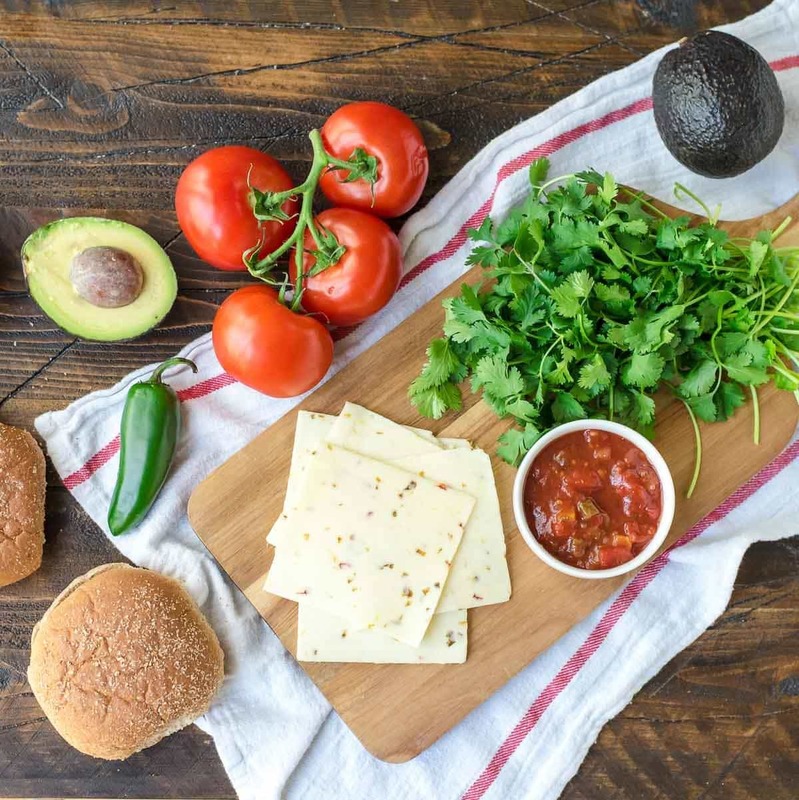 To amp up both the juicy-factor and the taste of these grilled chicken burgers, I added a can of Old El Paso Chopped Green Chiles. A lover of Mexican foods and flavors, I’m working with Old El Paso to develop a series of Tex-Mex-inspired recipe this year. These Green Chile Chicken Burgers are the first of more serious southwest deliciousness to come! 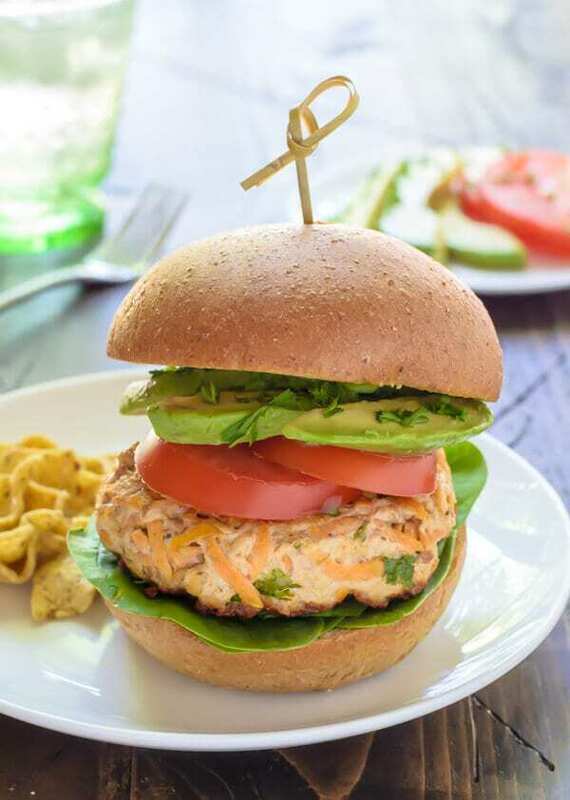 The juices and gentle heat of the green chiles infuse the chicken burgers with Tex-Mex flavor. When combined with a few southwest staples like cumin and chili powder, these chicken burgers go from blah to BINGO. 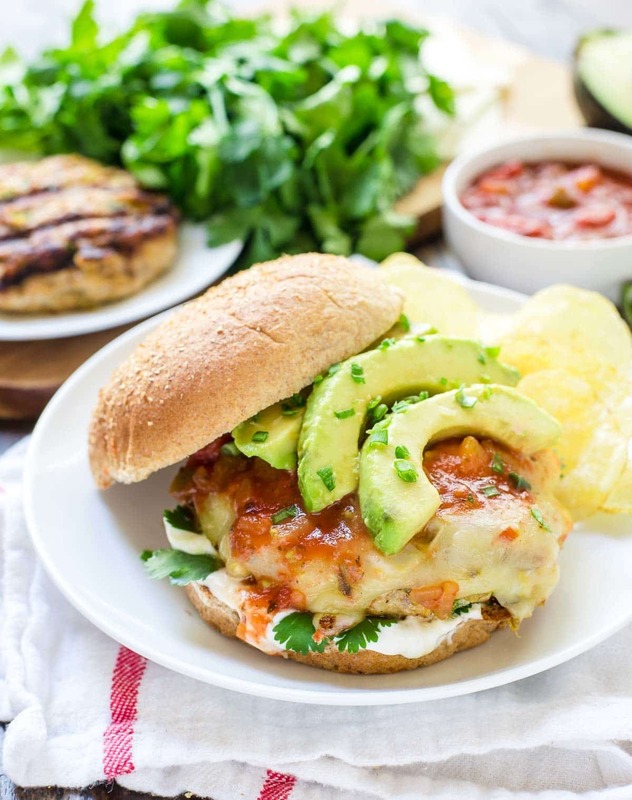 Smother these grilled chicken burgers with all the best Mexican-inspired toppings like avocado, salsa, and sour cream, and you have yourself a fiesta that’s on the table less than a half hour. Do yourself a favor though—do not eat these chicken burgers while wearing white pants. Don’t ask me how I know—I just do. No grill? No problem! This affordable cast-iron grill plate can be used right on your regular stove and makes beautiful grill marks. Ben’s favorite grill set (for indoor grilling and all kinds of fish, roasted veggie, and fried egg flipping, I love this spatula). 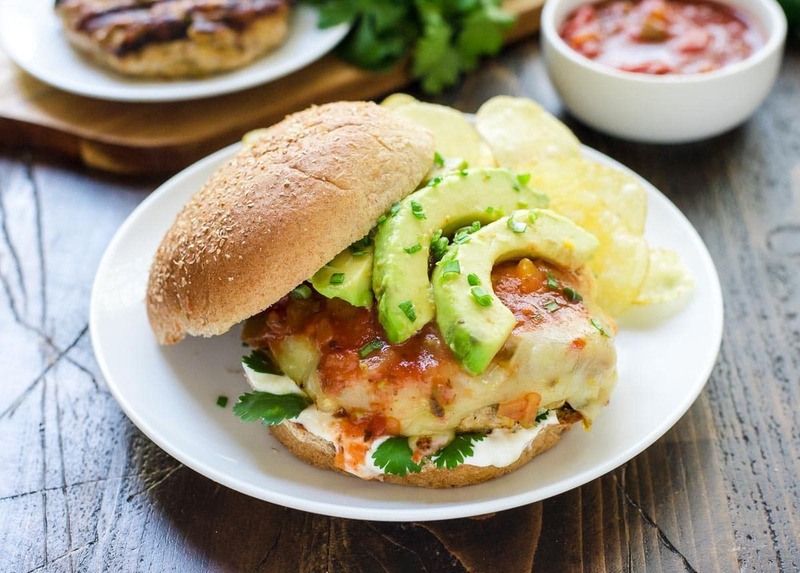 Moist and juicy Green Chile Grilled Chicken Burgers, topped with avocado, salsa, and cheese. An easy, healthy recipe that everyone will love! In a large bowl, combine the ground chicken, green chiles, green onion, jalapeno, chili powder, cumin, garlic powder, and salt. Divide and shape into 4 patties. Meanwhile, preheat the grill to medium and prepare any desired burger toppings. Lightly brush the grill with canola oil. Grill the burgers for 5 minutes, flip, then grill for an additional 3-5 minutes, until cooked through. During the last few minutes of cooking, top the burgers with pepper jack cheese and let melt. If desired, toast the buns on the grill as well. Enjoy immediately with any desired toppings. For the juiciest chicken burgers, a light touch is key. When mixing the meat, use a fork or work lightly with your fingers and do not overmix or compact the meat. Shaped, uncooked patties can be tightly wrapped in plastic and frozen for up to 1 month. Let thaw overnight in the refrigerator, then cook as directed. I’m sharing this post in partnership with Old El Paso. As always, all opinions are my own and thanks for supporting the brands and companies that make it possible for me to continue creating quality content for you! oh yummy! Girl this looks so good! I like the sound of these, but given the fact that green chiles can be hot, even when they are not supposed to be, I would probably leave out the jalapeño, or cut it back to ½ pepper. I’ve actually never used ground chicken before. Susan, the green chiles are super mild, but if you are very sensitive to spice, leaving out the jalapeno is a good idea. Ground chicken is very worth trying. It’s healthy, easy to use, and yummy when mixed with the right spices. Enjoy! Oh my goodness. This looks like a deliciously messy meal- the best kind of meal in my opinion! 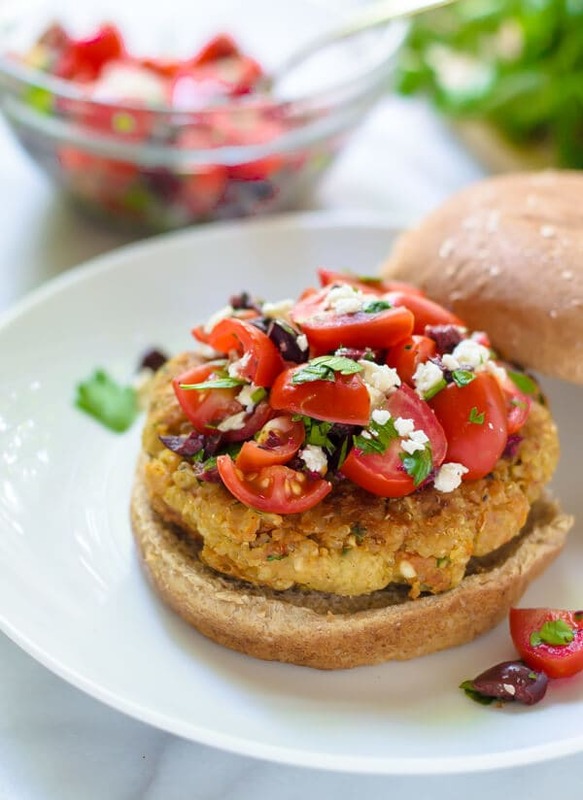 I love chicken burgers- I always use the dark ground meat so the patties stay nice and juicy. I have ground my own chicken in a little food processor. It’s really simple except you have to have a light touch and just do it in several pulses rather than just turning the machine on. It’s always worked for me just fine, ground chicken in Las Vegas, Nv. is an unknown meat! lol unless you ask the “butcher” in the market to grind it for you. I had no idea! Thanks for sharing this tip. I was wondering if you can use ground turkey as a substitute? I can’t always find ground chicken where I live! Yes, definitely! I hope you enjoy the recipe. These are delicious! I had to make a couple substitutions because of what I had on hand (ground beef instead of chicken, yellow onion instead of green onion), but either way this recipe is a keeper. Thanks so much. Can you cook these in the skillet on the stovetop? Absolutely Natasha! Preheat the skillet the same way that you with the grill, then cook the burgers in a bit of olive oil. I hope you enjoy the recipe! I live for spicy food! I like to put jalapeños on top of burgers so these are right up my alley! What percent ground chicken did you use? Laura, I used either 90 or 93% lean—I can’t recall now, but it was one of those two. I hope you love the recipe! Rey, I am thrilled to hear these were a hit and kept you full too! Thanks so much for trying the recipe and sharing your review. Made these tonight, they were fantastic. We used jalapeno cheese and spicy salsa, my husband loved them. Thank you for the great recipe. Jen, I am so excited to hear this!!! I love the idea of using jalapeno cheese too. Thanks for trying the recipe and letting me know how it turned out! I made this tonight and the family (including a picky 13 year old) loved them! 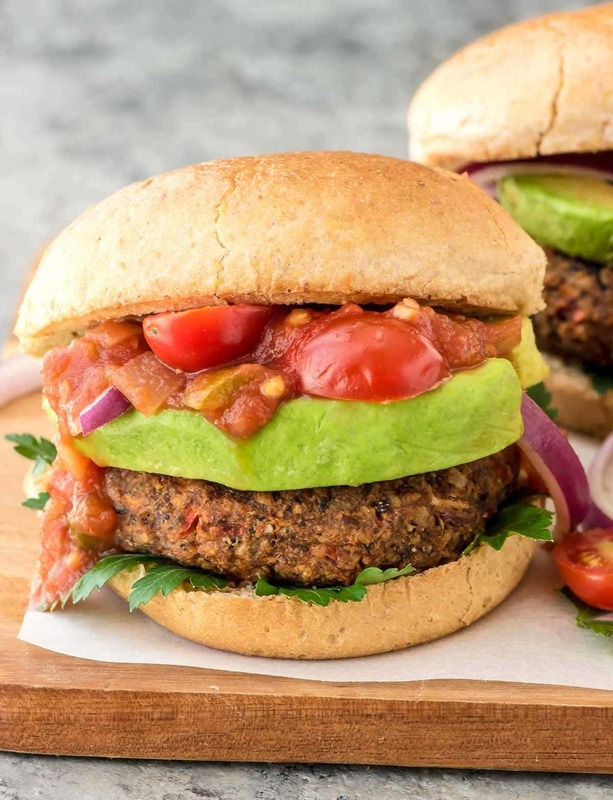 We topped the burgers with cilantro, tomato, avocado and Kraft avocado ranch. Erin, I am thrilled to hear this. Thank you!! Hello. This sounds great. What would you pair this with? Hi Ashleigh, you could serve whatever you like! I think a vegetable side would be nice. Maybe a light, crisp salad (you could add black beans and use a light ranch dressing to stick with the Tex-Mex theme) or keep it simple with roasted vegetables. Sweet potatoes would be delicious. Enjoy!